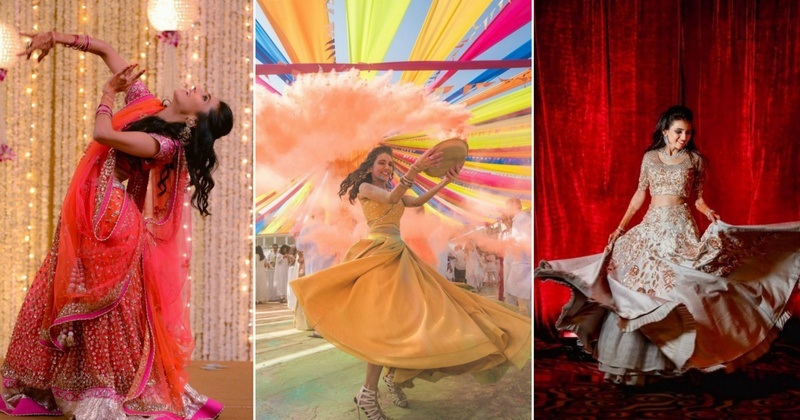 10 Songs For The Bride-To-Be's Solo Performance At An Indian Wedding! Indian weddings are incomplete without the Naach-Gaana, it's like the tadka to the plain dal. Right from the sangeet to the Mehendi, Haldi and the cocktail parties we dance our way to all of the functions in that 5-day wedding. It’s a ritual for the bride’s friends and family to throw a very entertaining performance for the bride and groom-to-be. But the most anticipated performance of all is the bride’s solo performance. The wedding is when the bride is the star of the moment, with all eyes on her. And with the bride’s solo performance being the most crucial part of all the other dance performances, it has to be just perfect. Right from the whole choreography to the outfit to that perfect song that strikes the right cords. It's the Bollywood track where the girl confesses her love for her beloved in a totally filmy way. Armed with groovy beats and some really cute steps, this song is a total catch. If you are the gal who can tell what's what from your Jimmy Choos and Manolo Blahniks, Prada from Gucci, this has to be your song. This Holi dance anthem of 2017, is the perfect song for your haldi and sangeet solo performance. This slow track where the girl says who else will love you more than I do, is just the perfect choice for your sangeet function. Although the choreography will have to be smart to keep the dance entertaining. This soul-stirring romantic number is guaranteed to tug at his heartstrings. It’s one of the numbers where your mum can start the dance with her sisters and get you to the stage towards the end of your solo performance. Get your ‘Kala Chashma’ and swagger on to own the stage with this dance number. You can also get your hubby-to-be on the stage towards the end of it. This song has been the top choices of all the brides for two years in a row now. It’s definitely a catch with some different and never-seen-before choreography. This one is again a slow and romantic number that sets the right mood for a slow dance with the groom towards the end. If you are a bride who can’t pick just one song then you can draw some inspiration from Masoom Minawala’s solo performance. She had danced to specific paragraphs of ‘Lagan lagi re’ , ‘Moh Moh Ke Dhaage’ and ‘Udi Udi jaye’ and the reaction of her fiance’s face is what all the brides are aiming for.